The two-day nosh-around puts the comforting classic in the sandwich-y spotlight. 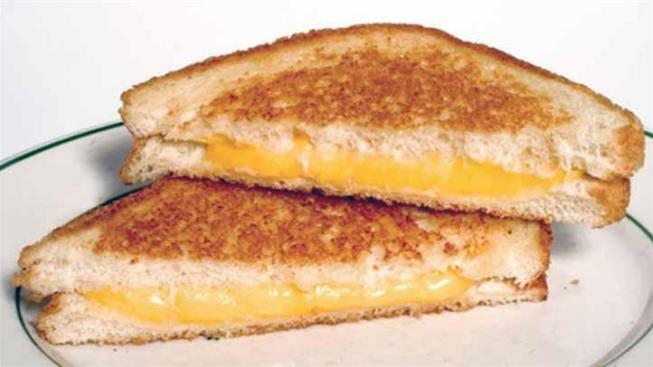 Bread, cheese, maybe butter, maybe not, total mouth bliss: Celebrate the great grilled cheese, at Sacramento's Southside Park, on April 13 and 14, 2019. THE GOLDEN STATE... is the hankering-addressing home to so many marvelous food festivals, it's true. Some foods get multiple parties thrown in their honor, in various cities, while others enjoy special affairs that last for several days. But only a handful of bite-oriented bashes celebrate the kind of stuff we eat daily, the sometimes-humble goodies that can usually be whipped up with what we have in the pantry and fridge. And, truly, aren't these exactly the eats that deserve the biggest to-dos? Not the fancier stuff, but the foodstuffs we so regularly depend upon for our fill-the-tum sustenance and quick dinners? GRILLED CHEESE... is an ultimate example of what we're talking about here. And if you've long thought this supreme sandwich should have its own celebration, long no longer, for it shall be honored, in Sacramento's Southside Park, on Saturday, April 13 and Sunday, April 14. That's when the Sacramento Grilled Cheese Festival will summon all sorts of sandwich-perfecting pros, the kind of cooks that'll not only toss some cheese on a slice of carb-tastic goodness, but also figs or jam or spicy spread or all of the above. For grilled cheeses can handle a veritable fridgeful of interesting add-ins, and you'll see bunches of 'em at the mid-April bash. SATURDAY, keep in mind, is a 21-plus kind of deal, with craft brews, wine, and more. Sunday goes all ages, and there'll be a kid zone, plus games to enhance the happy vibes of the day. A Saturday ticket? General admission is $65, while Sunday is $10 general. For more information, grilled-cheesers, you'll want to pop by this site now, as fast as you pop two slices of white into the toaster, just before slidiing open the dairy drawer to select your cheeses.